When it comes to planning the most intimate and important day of your life, though, I can totally see how hard it can be trust your vendors. I mean, you've only know them for 10 minutes! How could you possibly release all control to their "capable" hands?! In today's post, I'm hoping I can help you weigh the pros, and sometimes cons, of giving up control and letting your vendors shine their creative light. I promise, trust is not as scary as it seems, and I guarantee it will make wedding planning 100x more enjoyable. The first, and definitely most important first step in trusting a vendor, is to find one who is the right fit for you. There are hundreds of talented photographers, caterers, planners, florists, etc... out there, but not all of them are the right fit for your wedding. 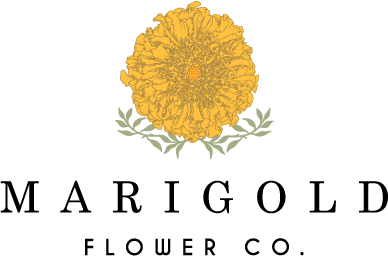 Marigold Flower Co. is not the right fit for every bride, and we are totally fine with that! We want brides to feel comfortable with our style, aesthetic and way of doing things, and if they don't, we are not a good match. The last thing I'd want is for a bride to choose us for the wrong reasons. So, take some time to get to know your vendor, and if you need to meet with a few before you find one that feels like a good fit, than do that. Second, hear what other brides have to say about your vendors (but enter with caution). Reading reviews is great! But remember that negative reviews aren't always the fault of the vendor. What I like to look at is how (if at all) the vendor responded to the negative review. That speaks louder to me than anything else. Also, talk to friends who have used the same vendors and find out how their experience went. I promise this will be the best reassurance for you! So, once you feel like you've picked the best vendors, and you like what you're hearing about them, now it's time to start trusting them. If you've gone through a consultation, received a proposal that is within budget, and had great back and forth communication, than there are no excuses to not let go of control. Here's the thing...I work in the wedding industry (shocker, I know). I've done countless weddings and styled shoots. I've worked beside photographers and dress designers and stylists, but I am only a florist. I am only good at making flowers. I can not take a masterfully crafted photo or sew a dress together or create a tablescape that is awe-inspiring. But, my vendor friends can. They can do amazing stuff, and I would be nuts to not trust them! And when it came time to plan my own wedding, despite being in the wedding business, I did not want control over everything, because I knew that my vendors would make my wedding better than I could. That's why I hired them! And why I paid them! 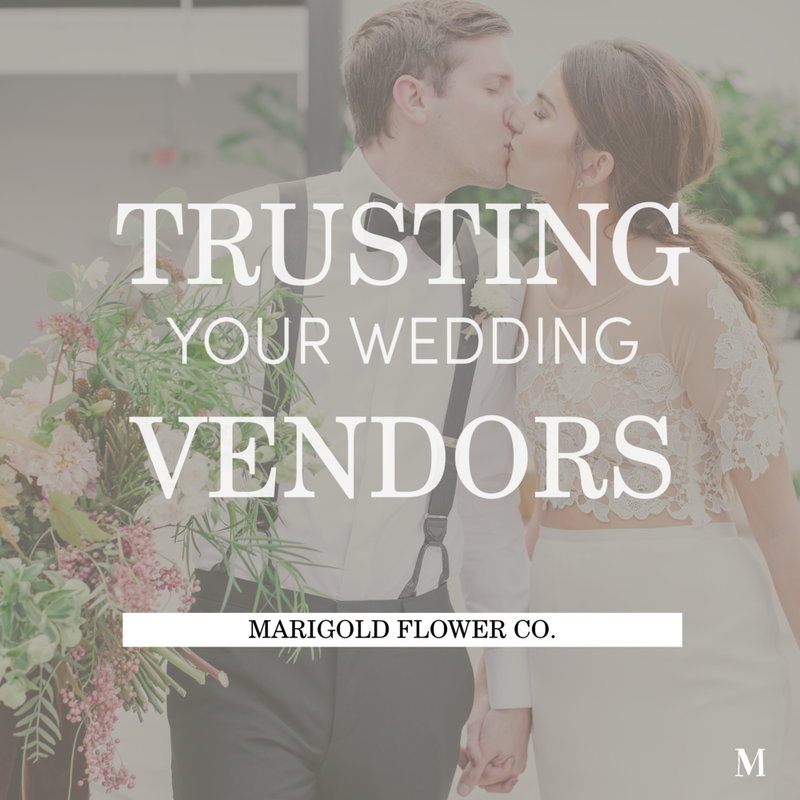 Whether you are the most relaxed bride out there or you like your hands in everything, I absolutely promise that if you've taken the time to find the right vendors, than trusting their creative talents is the best thing you can do. It will decrease stress, give the vendors confidence to make something amazing, and ensure that you are just as amazed on your wedding day as your guests are. Trust is a scary word. But trusting your wedding vendors is the best feeling in the entire world...yes, it's even better than control.